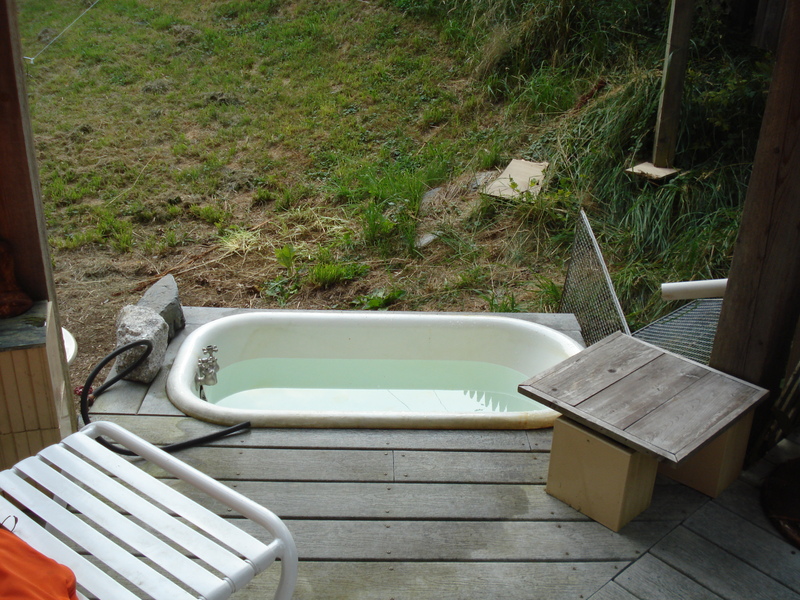 An old bathtub sunken into outdoor deck makes a great 'home spa' ! 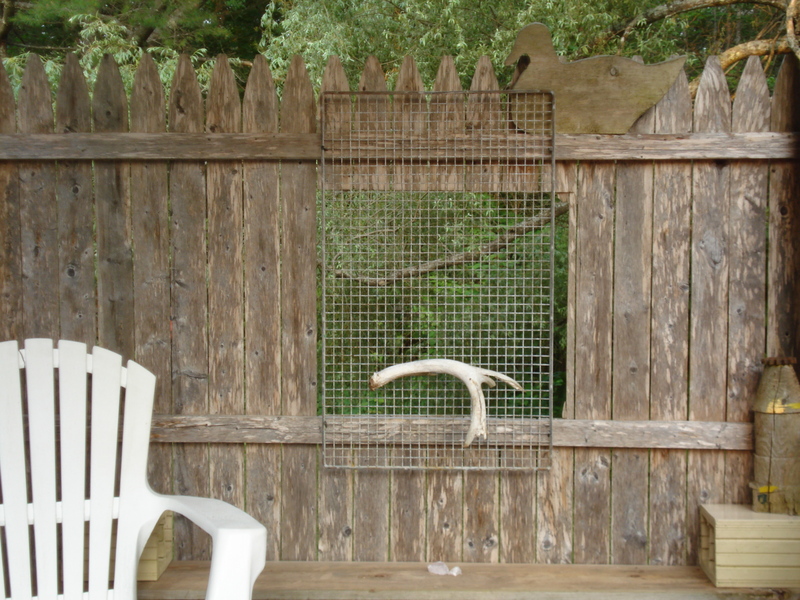 Cutout window in fencing for fun. Staycations at your own home can be a lot of fun if you’ve got yourself a little “home spa”. 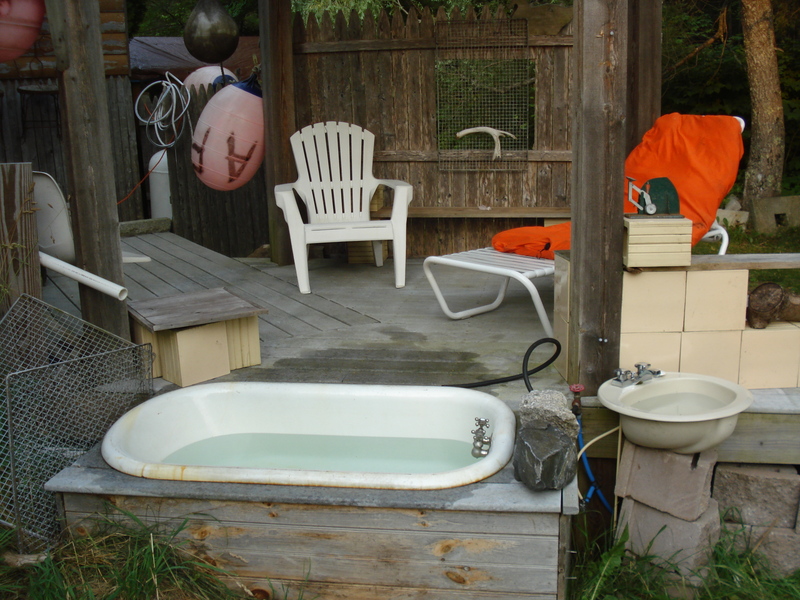 Check out this one in Maine.The outdoor tub has both hot and cold water options if the sun doesn’t heat the water warm enough for you. I love the feng shui of having cutout windows in fencing to spotlight both the view and creativity. Hi Fishgirl, I really want to create an outdoor bathroom for my rural 800 sq foot,1 bedroom mountain cabin in the NW corner of NC. My husband died from leukemia in 2014, leaving me now free to remodel this cabin to suit my own likes and preferences. This is primarily a spring, summer, and fall cabin that was probably built somewhere between 1930 (when electricity came into the valley) and the early 1950s. Nothing in this cabin is square, level, or plumb. I’ve gotten as far as buying a 5 1/2 ft long claw foot tub at an antique store last summer. I’ve been collecting internet photos of outdoor bathtubs and bathrooms for several years to get ideas. I’ve come across your outdoor bathtub photos repeatedly and love them. They look relatively inexpensive, rustic, practical, and charming. It inspires me to see what another woman has done. My cabin only has a shower in the bathroom, but I also want to have a bathtub. Since I am no longer limited to “living inside the box” any longer, I am planning to place the bathtub outside along the kitchen wall. This is a rural area and the potential location would be shielded out of sight. Privacy is probably not an issue most of the time. However, just to provide for privacy, I plan to have removable curtains on 3 sides that would be hung from galvanized pipe attached to a 4″x4″x8′ frame made from pressure treated wood. Do you have any helpful advice for my project? I haven’t yet figured out the wood or stone flooring, plumbing for hot and cold water, or drainage of the bathtub into a deep French drain or some type of submerged type of tank with drainage holes so water would slowly seep into the ground. Do you have any feng shui advice for such a project? Have you dealt with health department permits and inspectors? Any advice, suggestions, or pointers that come to mind would be much appreciated.